Housebuilding giant Persimmon has brought forward plans for the second phase of a major regeneration project in south Birmingham. 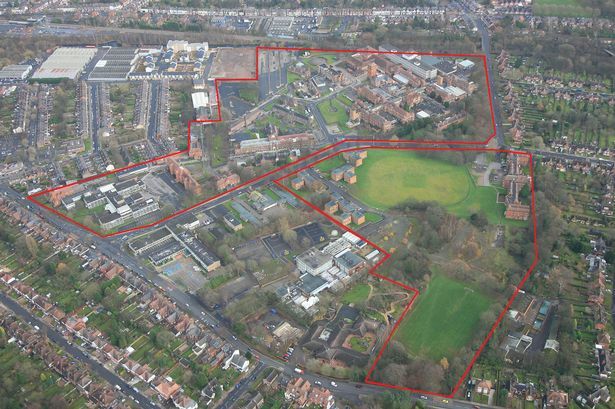 The York-based plc is behind the scheme to redevelop the 43-acre former Selly Oak Hospital site which will eventually have 650 homes, a cricket pitch and pavilion and is expected to create about 1,500 jobs. A newly submitted application for the second phase comprises plans for 68 houses ranging from one to four bedrooms including 20 affordable units. The houses would be built on a four-acre corner plot of land where Raddlebarn Road and Willow Road meet. Andy Peters, managing director at Persimmon Homes South Midlands, said: "Subject to approval of our application, this will form the second phase of our £100 million transformation of the former Selly Oak Hospital site and we expect work on site will get under way in October with properties available to purchase by the end of 2015. "Our investment in this second phase adds up to £15 million and will produce 68 much-needed one-, two-, three- and four-bedroom new homes that we are confident will meet the needs of the current market and a wide range of buyers." This latest development comes just a month after Persimmon received the green light for the first phase of the £100 million development. This element comprises plans for 96 houses, open space and the cricket pitch with pavilion but came in for criticism from one city councillor who called for more green space within the development. Despite Coun John Alden&apos;s plea, the first phase was voted through 12 to one by members of the council&apos;s planning committee. Selly Oak Hospital was previously owned by University Hospitals Birmingham NHS Foundation Trust but was closed following the opening of nearby Queen Elizabeth Hospital Birmingham in 2010. Persimmon acquired the site earlier this year and the overall project was granted outline consent in 2013 for up to 650 dwellings and several other uses such as shops, restaurants and office space.